TICKETS ARE NOW SOLD OUT! 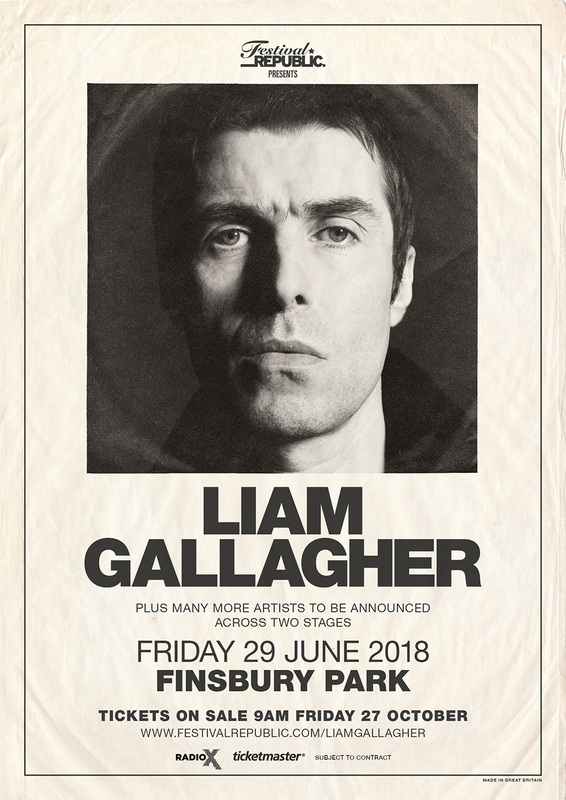 The former Oasis man will headline London’s Finsbury Park next summer. Liam Gallagher has announced details of a massive show in London next summer. With a full supporting line-up still to be announced, the special one day event will take place on Friday 29 June 2018 in London’s Finsbury Park. Liam announced the gig in an exclusive chat with Johnny Vaughan on Radio X this afternoon, saying: "All the common pigeons are welcome. I’m El Common Pigeon and I’ll be there singing you some f**king tunes." He added: "I’m currently in rehearsals, blowing the cobwebs off some stone cold classics." Finsbury Park has hosted landmark nights of music with Oasis and The Stone Roses in the past. This is guaranteed to be the stand out rock show of the summer and Radio X is the official radio partner of the gig. Having outsold the rest of the top 15 combined and already one of the biggest albums of 2017, his debut solo album As You Were reached over 100,000 sales as it shot to No.1 in the UK Album Chart. With a catalogue full of global hits, fans can expect recent singles Wall Of Glass and For What It’s Worth, as well as Oasis classics such as Rock ‘N’ Roll Star and Wonderwall to provide huge singalong moments for what is set to be his biggest headline show to date. Tickets for the gig will go on sale on 9am Friday 27 October and are priced at £52.50 (plus booking fee) for general admission and £85.00 (plus booking fee) for VIP tickets. See www.festivalrepublic.com/liamgallagher for full details.